We now offer the Adhesive Helmet Mount and the Helmet Clip as a set! The Adhesive Helmet Mount enables you to use the helmet clip with your S-series headlamp, even if your work helmet does not have a mounting slot. 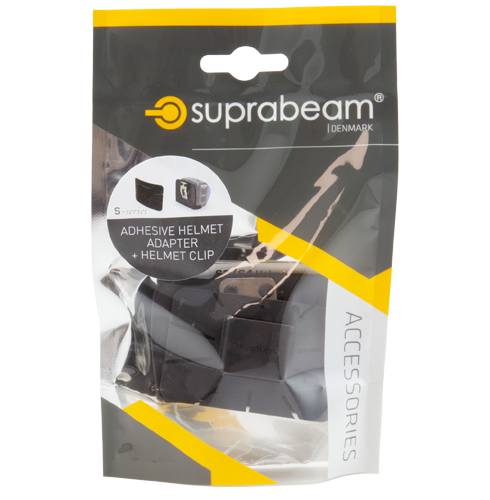 The adhesive helmet mount is curved and has a strong 3M adhesive pad on the backside which will stick to any helmet surface. With this set you can mount your S-series headlamp easily on any helmet!